You’ve built an accomplished track record of success, continuously expanded your skill set, proven you have leadership potential, and you’re now being acknowledged and rewarded for it with a big promotion. The only problem—you can’t seem to shake a sinking feeling that maybe they made a mistake and you aren’t actually ready for this responsibility. In your head, it’s only a matter of time before you’re discovered as a fraud. Essentially, it all comes down to self-doubt, which can be a destructive force if left unchecked. So, before you start to doubt your abilities as a new leader, check out these five quick tips for overcoming impostor syndrome. Just because you’ve proven you’re ready to take the next step up the corporate ladder, it doesn’t mean you’re expected to know everything about your new position from day one. Just like any new job, there’s bound to be a learning curve. Cut yourself some slack and don’t be afraid to ask for help. There’s nothing wrong with wanting to emulate positive qualities you see in other leaders, but don’t fall into the trap of constantly measuring yourself against them. Trust your instincts and use the lessons you’ve learned from great leaders in your life to establish your own style. And, try not to obsess over the tactics that don’t work. Learn what you can from your mistakes, make adjustments, and keep moving forward. You must have done something right to get to where you are, so focus on the successes that lead to your promotion into a leadership position. In fact, you could even keep track of your accomplishments and positive affirmations in a “feel good file” you keep tucked away for those times you need a quick boost. 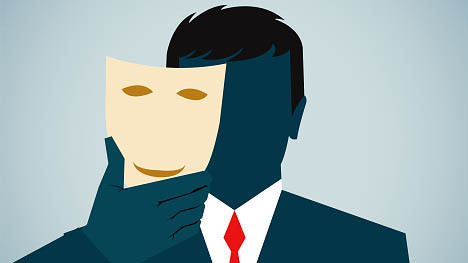 Whether or not they’re willing to admit it, there’s a pretty good chance everyone you work with has experienced the impostor syndrome in one form or another. It’s just human nature to feel a little anxiety when going into the unknown. So, remind yourself that we’ve all been there and are probably not as focused on the missteps as you think they are. Fortune favors the bold and you can’t let self-doubt keep you from jumping in head first and becoming the type of leader you know you can be. There are going to be failures and mistakes, but if you’ve put in the work up to this point, your instincts will kick in and you’ll eventually look back and wonder why you were ever worried in the first place. When have you experienced the impostor syndrome? What steps did you take to overcome it? Let us know in the comments section below!